Tired of wasting time searching for the parts you need? 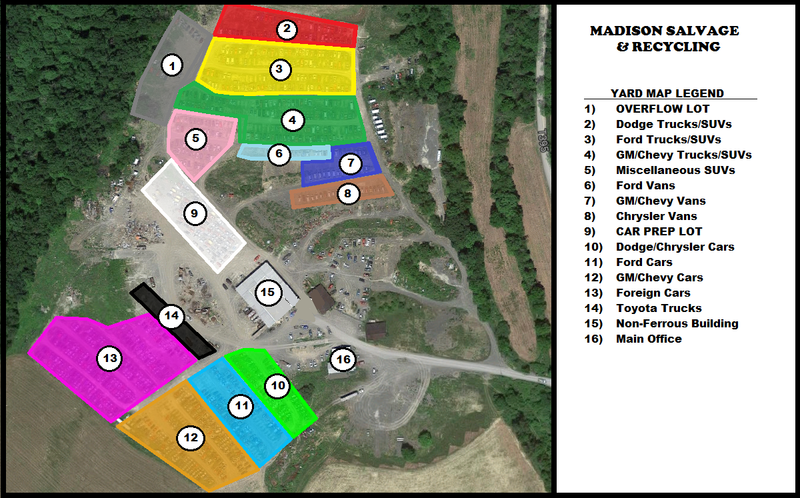 At Madison Salvage & Recycling, simply reference the Yard Map in the office and head directly to the vehicle you are looking for. Save time – and money – at the most organized auto salvage yard in Columbia County!